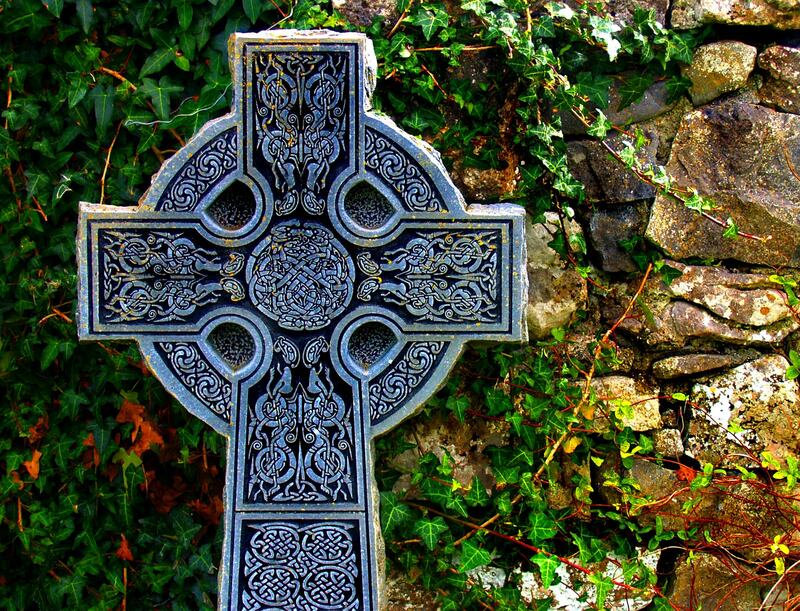 This is a heavy sterling silver Celtic Cross that is a replica of the Mura Cross found in County Donegal in Ireland. 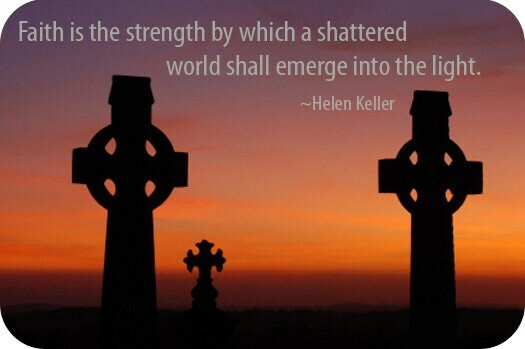 The intricate Celtic weave design was hand created. Detailing contrasts with a sandblasted interior with highly polished Celtic weave make this piece extra special. 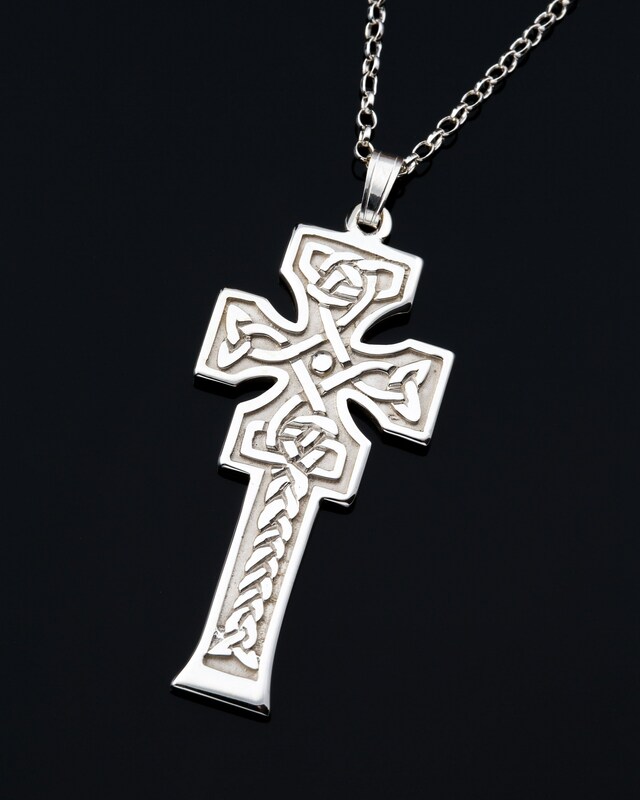 The Mura Cross from County Donegal, Ireland - Comes on an 18" high quality sterling silver chain.